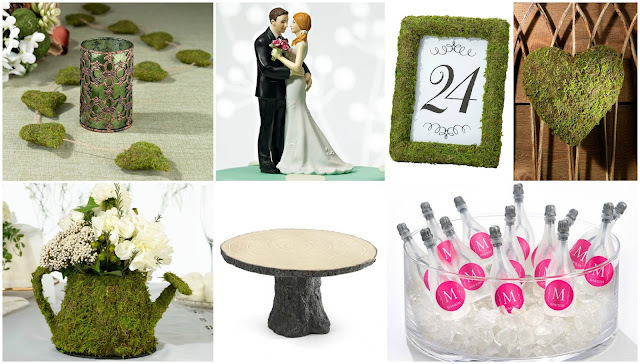 Lots of natural elements are wonderful to decorate with. You can use tree branches in vases, or slices of tree trunks as centerpiece bases. Moss adds excellent color and texture to your decor, and of course, beautiful blooms woven into everything fits in perfectly. Imagine what you might see in a fairy garden and then arrange it on a bigger scale for your own celebration. A plainly iced cake, or possibly a naked cake, with a gorgeous wedding cake top can be embellished with real flowers. 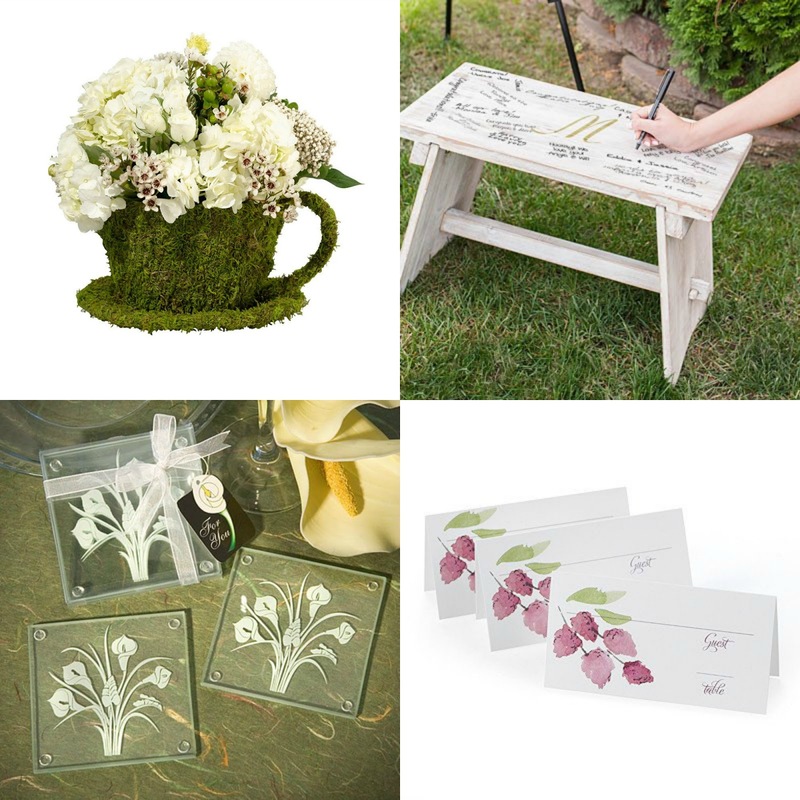 For favors, send your guests home with something to grow, like a potted succulent or flower seeds. 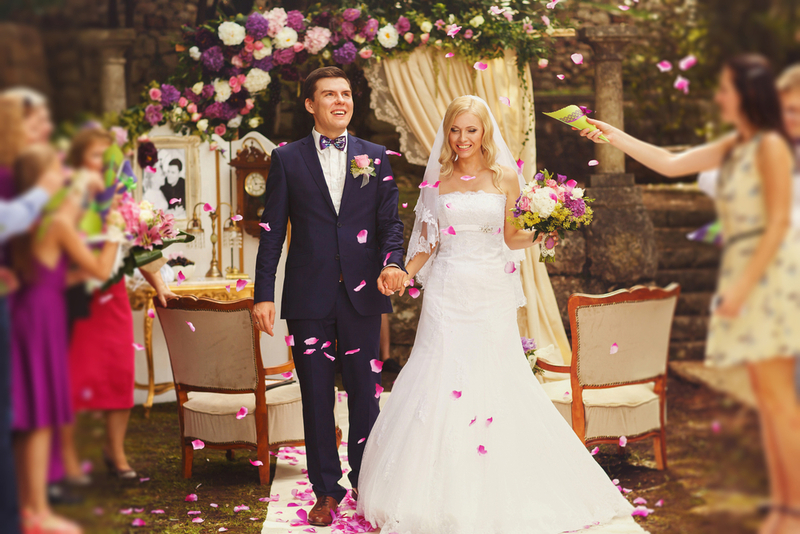 Make a magical exit amid a cloud of bubbles blown by your wedding guests. Gardens are lovely places for afternoon tea, and if you have your wedding earlier in the day, you can host a brunch before the ceremony or a variety of tea sandwiches & different teas among the flowers afterward. Lots of decor may not be necessary since the garden is stunning on its own, but a few additional floral elements here and there can add that extra special touch. Gardens also host some lovely wildlife, such as birds, bees, and butterflies. 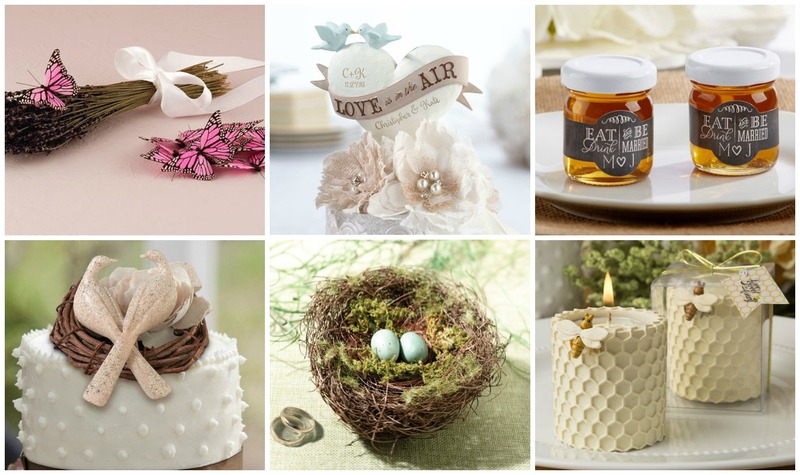 These are fun elements to add into your wedding decorations, and a perfect reason to use cute phrases like "Love is in the air," "Lovebirds," and "Meant to 'Bee'." 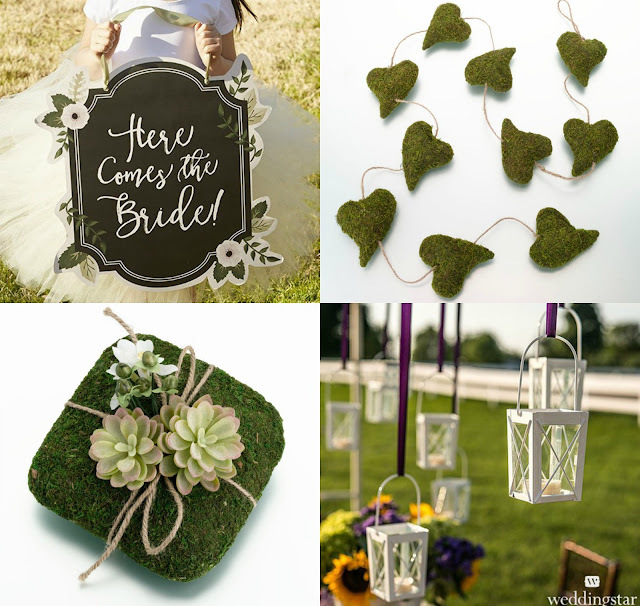 Ceremony programs that double as fans can help to keep guests cool on the warmest of days. A wooden garden bench used as a wedding guest book alternative makes a wonderful decoration for the newlyweds' home after the wedding. WhereBridesGo.com can help you to create the most beautiful garden wedding, and there are also all kinds of other themed items to find when you visit our online wedding accessory store if you have something else in mind for your special day. Visit our website and find the inspiration to begin dreaming up your own perfect wedding.